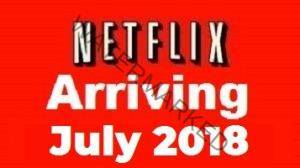 Here is a few highlights on whats New on Netflix July 2018, the complete list of new releases on Netflix is below. There’s something for everyone from the Oscar-winning sci-fi romantic drama Her, all the childhood favorites like Jurassic Park, The Princess Diaries, and the latest installment of Orange is the New Black on July 27. Other Netflix Originals additions include Season 2 of Anne with an E and new comedy specials.